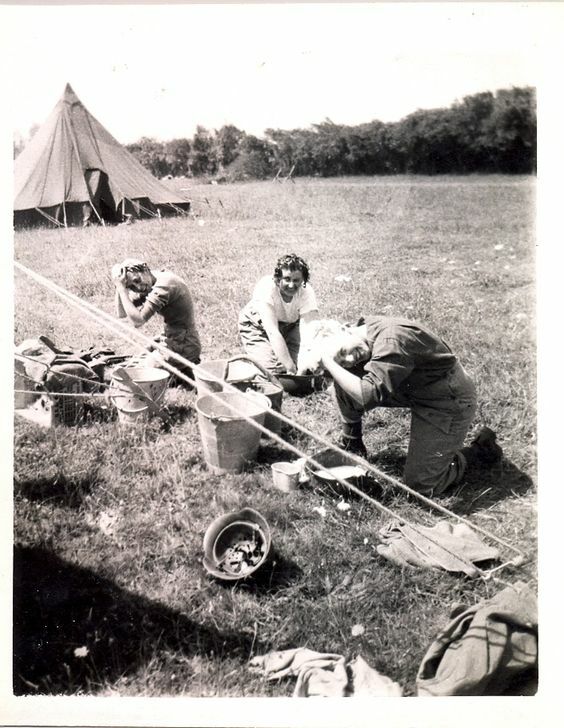 WWII U.S. Army Corp Nurses Washing Their Hair, 1945. "Joy went for 30 days without taking a bath when she first arrived." "I do not mind not washing for a week or more, but I do hate getting fleas in my hair." the war correspondent who broke the news of the outbreak of World War II, in her memoir. Ms. Hollingworth died at 105 on Tuesday, January 10, 2017.